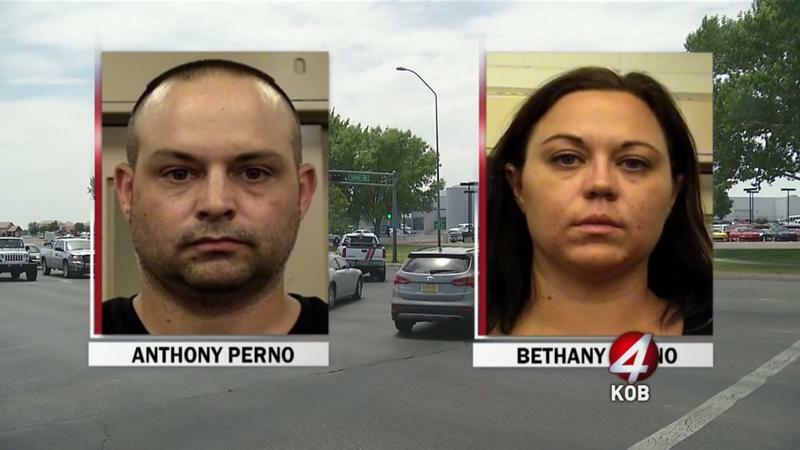 New Mexico – Police say married couple Anthony and Bethany Perno showed up at Reliable Chevrolet in northwest Albuquerque looking to purchase a hot ride. They chose a Corvette valued at more than $100,000 and told a sales associate they wanted to pay for it with a cashier’s check. According to a criminal complaint, the employee went to a bank with the couple to get the check. When it was time to finalize the sale, Bethany claimed the printer at the bank was broken and she only had a personal check. The report says a manager agreed to accept the check and the pair drove off. Later that same day, the dealership realized the check was bad and tried to contact the Pernos. Calls went unanswered. The dealership then used Onstar services to disable the vehicle and provide a location. At that point, Anthony emailed the dealership and reported the car wouldn’t turn on. Reliable Chevrolet offered a free tow back to the lot, where police were waiting. The Pernos arrived in what officials report was another vehicle they embezzled just three months earlier. The two were arrested and charged with embezzlement, conspiracy, fraud and issuing a worthless check. Both Anthony and Bethany Perno have no prior criminal history. Friday, the judge agreed to release the pair on their own recognizance.